I went over to my grandparents place after about a week and noticed a package sitting on the side shelf where post is normally kept. It had my name on it and seemed to be a box of sorts. When i opened it, I discovered a big blue box that said "Ready to eat" Dal Makhani & Biryani from GITS. I had no clues where it was from, a mystery which still has me wondering. I did find a note inside from FBAI saying this was a review box and they had found me amidst the blogging community. 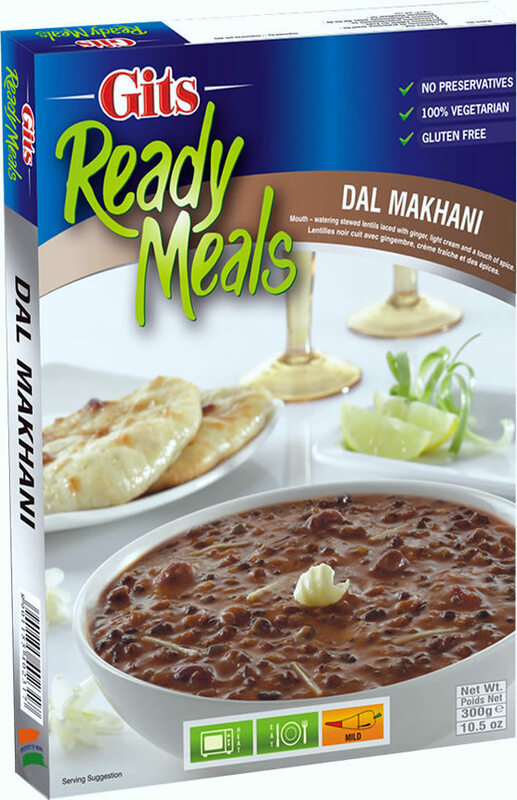 There was a box of Dal Makhani which looked very tempting. Ever since I began living on my own, I have been creating one pot meals - salads, soup, pulao, pasta etc. But the minute I saw this box, I pulled out the packed of dosa batter I had in the fridge and decided my dinner. Dosa with Dal Makhani. 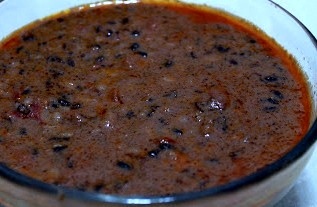 In a pan, I added a drop of oil and 2 tbsp of Dal Makhani and heated it up . The Dal Makhani was good, it was thick rich and yet not heavy [not loaded with butter/cream/etc]. I managed to use the packet over 4days, for brown rice, roti and 1 more round with dosa. Now, am curious to try the Biryani. 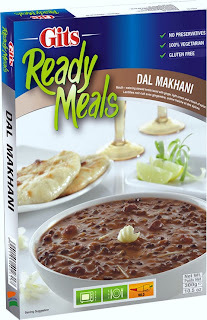 One packet of Dal Makhani is priced at Rs 59/- For someone like me who enjoys the occasional Dal Makhani, but is too lazy to soak, boil, cook and eat, this is a good alternative! !